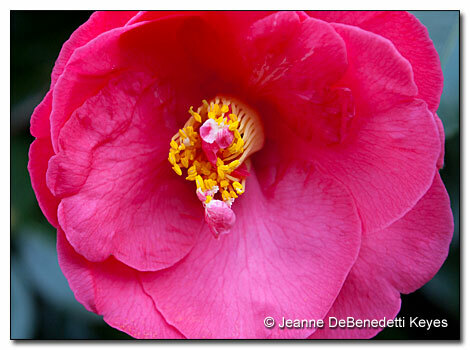 Recently, I had the opportunity to identify several of the many types of camellias growing in my garden. Lan Su Chinese Garden in Portland, Oregon hosted a camellia show during their annual spring sale, the last weekend of March. Many unique and interesting camellia blossoms were artfully arranged and showcased in the Hall of Brocade Clouds, one of the beautiful stone and wood buildings there. Along with the many wonderful nurseries at the annual sale, there were representatives from the camellia, orchid, and chrysanthemum societies. I managed to persuade one of the camellia experts to identify the following blossoms. The first photograph is a lovely camellia with large yellow stamens called C. japonica ‘Lady Clare’. ‘Lady Clare’ is the largest one in my collection. Perhaps it is also one of the largest in cultivation. This next one of my favorites. It’s called C. japonica ‘Purity’. I love the contrast between the dark, green foliage and the pure white, double blossoms. It may look like a large gardenia, but unfortunately there is no scent. I guess it will have to get by on looks alone. Next is C. japonica ‘Silver Cloud’. The petal structure is more open and loose, almost like a single petal variety. The yellow stamens are also lovely. The buds are very round, white and quite big, making the shrub very interesting to observe even before the flowers are fully unfurled. Last but not least is this sweet, little, pink flower called C. japonica ‘Pink Perfection’. This is the smallest camellia in my collection at 1-2 inches wide. In my opinion, it is aptly named, as the tight, concentric arrangement of the petals are perfection. 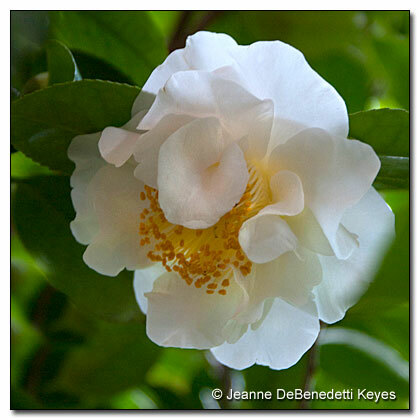 If you are like me and are even slightly curious about the unidentified camellia shrubs around your property, come to the Newberg Camellia Festival to get your questions answered. 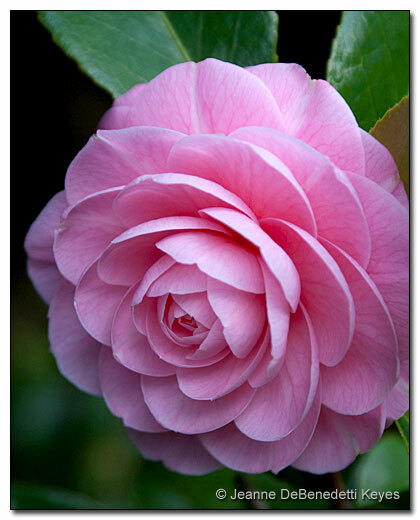 The festival will be April 14, 2012 from 10am – 4pm and will have the Oregon Camellia Society’s annual flower show along many Asian/Pacific Rim cultural activities such as lion dancing, Ikebana and bonsai demonstrations, to name a few. 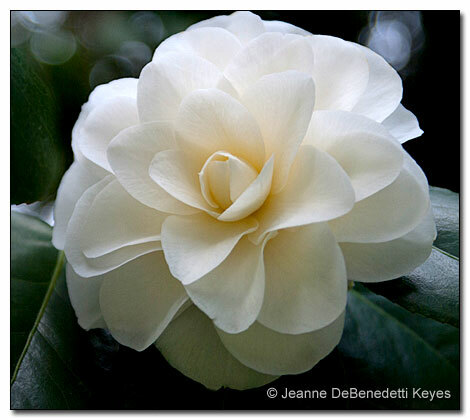 Also, Lan Su Chinese Garden is hosting Camellia Talk with Matt Hunter, Sunday, April 15, 2012 at 11 am.